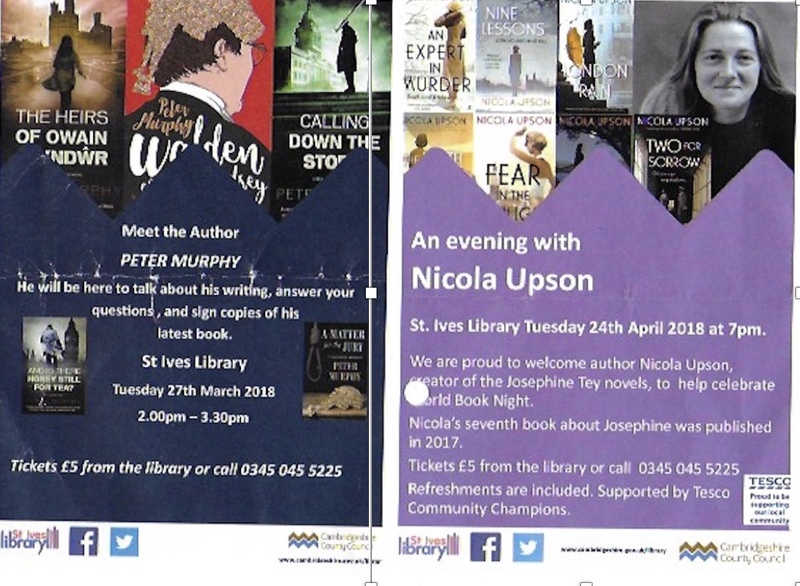 There are two forthcoming ‘meet the author’ events at St Ives Library. On Tuesday March 27th between 2pm & 3pm Peter Murphy will be at St Ives library to talk about his writing, answer questions and sign copies of his latest book Walden of Bermondsey. Peter Murphy is a recently retired judge and Walden of Bermondsey is a collection of humorous and satirical short stories told through the eyes of a Crown Court judge. His other books include: Calling Down the Storm, The Heirs of Owain Glyndwr, And is There Still Honey for Tea and A Matter for the Jury. popular in the 30’s and 40’s.